Bring rustic beauty to your yard or garden with our LuxCraft Folding Adirondack Chair. This Amish Adirondack chair is a great place to relax late in the evening as the sun is setting and it begins to cool off. The LuxCraft Adirondack Chair invites you to take a break in a supportive chair that will cradle you in comfort while enhancing your outdoor scene. Consider our Amish Outdoor Benches to complete your collection of Amish outdoor furniture. Perfect for your yard, garden or porch, this folding Adirondack chair is constructed by skilled Amish craftsmen right here in the United States and ships within one to two weeks of your purchase. The pine Adirondack chair folds up for easy storage. 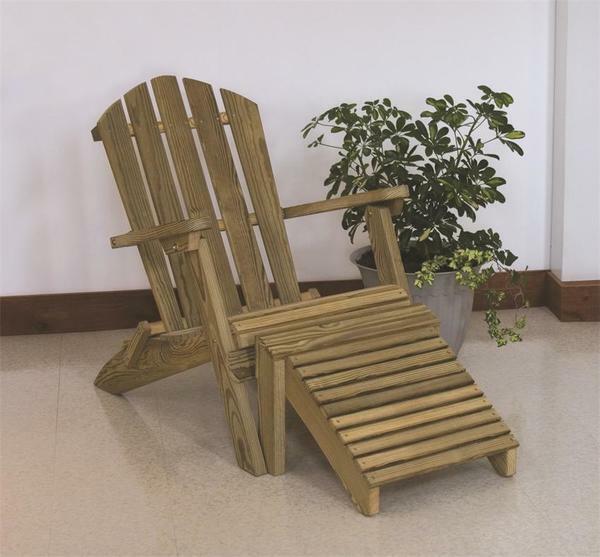 Solid wood products like this pine Adirondack chair are built with a focus on durability and longevity. Gather round to toast marshmallows, enjoy drinks and lively conversation in a set of these exceptional LuxCraft Adirondack Chairs. Call one of our Amish Furniture Specialists today at 1-866-272-6773 with any questions.